Paul Frederic Simon (born October 13, 1941) is an American musician, singer-songwriter and actor. 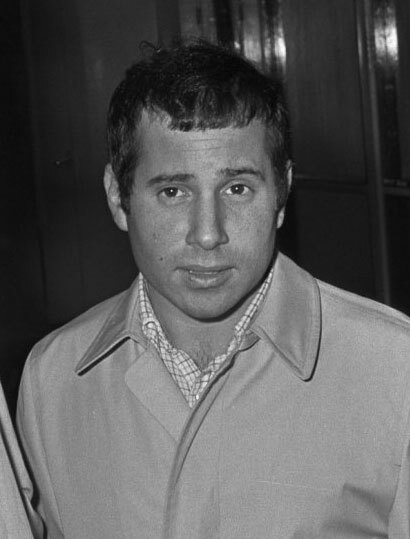 Simon's fame, influence, and commercial success began as part of the duo Simon & Garfunkel, formed in 1964 with musical partner Art Garfunkel. Simon wrote nearly all of the pair's songs, including three that reached No. 1 on the U.S. singles charts: "The Sound of Silence", "Mrs. Robinson", and "Bridge over Troubled Water". The duo split up in 1970 at the height of their popularity and Simon began a successful solo career as a guitarist and singer-songwriter, recording three highly acclaimed albums over the next five years. In 1986, he released Graceland, an album inspired by South African township music, which sold 14 million copies worldwide on its release and remains his most popular solo work. Simon also wrote and starred in the film One-Trick Pony (1980) and co-wrote the Broadway musical The Capeman (1998) with the poet Derek Walcott. On June 3, 2016, Simon released his 13th solo album, titled Stranger to Stranger, which debuted at #1 on the Billboard Album Chart and the UK charts. Simon has earned sixteen Grammys for his solo and collaborative work, including three for Album of the Year (Bridge Over Troubled Water, Still Crazy After All These Years, Graceland), and a Lifetime Achievement Award. In 2001, he was inducted into the Rock and Roll Hall of Fame and in 2006 was selected as one of the "100 People Who Shaped the World" by Time magazine. In 2011, Rolling Stone magazine named Simon as one of the 100 Greatest Guitarists. In 2015, he was named as one of the 100 Greatest Songwriters by Rolling Stone. Among many other honors, Simon was the first recipient of the Library of Congress's Gershwin Prize for Popular Song in 2007. In 1986, Simon was awarded an Honorary Doctor of Music degree from Berklee College of Music, where he currently serves on the Board of Trustees.